Bobbi Brown Blush in Peony: I have been using this blush constantly all month. I find it the perfect pretty light pink shade which is natural and subtle enough to wear to work on a daily basis. This is currently the only Bobbi Brown product that I own but I would love to invest in some more! Rimmel Soft Kolh Eyeliner (black): I have been using this product to tightline my upper eyelid basically every single time I do my make-up. It does not last all day but is a great drugstore eyeliner, gets the job done and is a great product for its price. Stila Kitten Highlight: I know that this product has made an appearance in just about every beauty youtube video and blog known to mankind but these shades are just STUNNING. This is a product that I will definitely be re-purchasing and would be happy to recommend to anyone. Maybelline Colossal Volume Express Mascara: I am a huge fan of Maybelline mascaras and drugstore mascaras in general but this is another product that I have been using on pretty much a daily basis and am absolutely loving! I will admit I have quite a few Maybelline mascaras in my collection but this is definitely one of my favourites. Loreal Base Magique Primer: I sound like a broken record but this point but I have also been using this product constantly this month! I have heard nothing but great reviews about this primer and is very comparable to Benefits Porefessional. I find this to be a great product! What are your beauty faves for this month? Are they newly purchased products or are you re-discovering old ones? Do you have any recommendations? Let me know your thoughts! 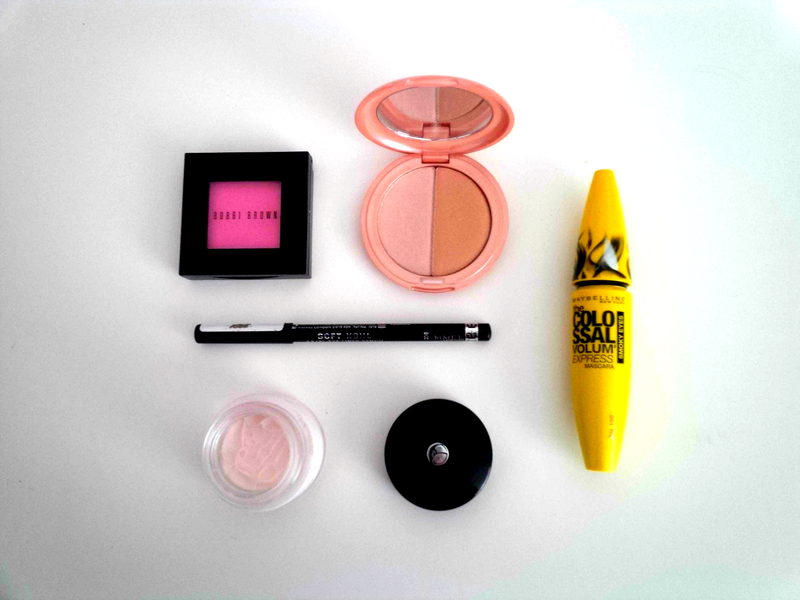 great post – been wanting to try out that mascara! It’s gorgeous!! peony is just one of those perfect light pink shades that goes with any makeup look and is perfect for any time of the day 🙂 thank-you for reading!! Love your post! Stila and Bobbi Brown are two of my favourite brands ❤ You should do makeup looks on your blog! Whoa, that Bobbi Brown blusher looks amazing! Do you have a photo of some swatches? Looking forward to the swatch-fest! Your blog looks great, btw – you have a good eye for composition in all your photos. It’s amazing!! I would definitely re–purchase 🙂 thank-you for reading! !